Looking around on Pinterest and etsy started my JD theme craze. Whoever invented those websites was half genius half devil. They trap you with all kinds of cute ideas and then when you realize you don't have the time to DIY them yourself, you just buy them! So I started with the crib set and drapes that to me just resembled farmers button up shirts. I wanted something country, but not western and something timeless in case I wanted to reuse for the next child. I loved this pattern, I fell in love when I first say it. And I have to add the drapes are black out, which is extremely helpful for nap time! Next of course, I needed to add his name to a wall. Because you know, he is totally going to know it's his name! Well maybe not for the first couple years, but it's cute! 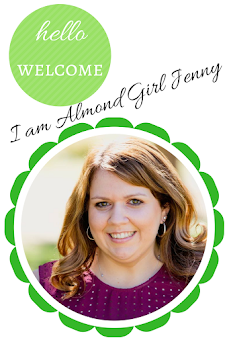 I loved the tractor and name stickers that I found on Etsy, it just helped seal the deal! Our crib and changing table were the set I used when I was a baby that my parents kept. 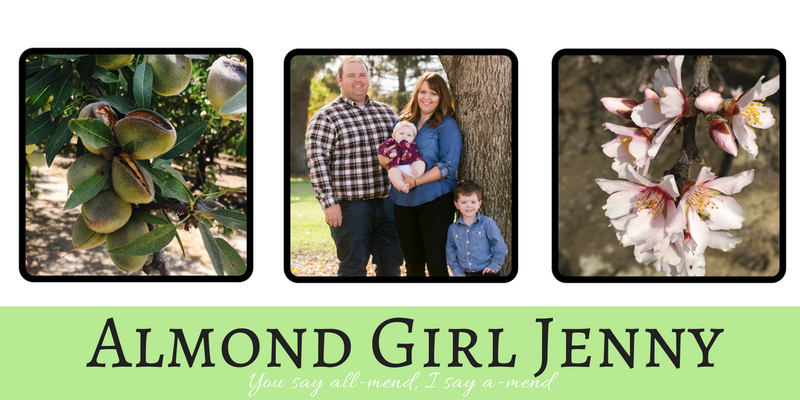 I blogged about what I had redone. Every kid and baby needs a book collection. And props to my sister for my collection. At a baby shower she hosted she had everyone bring a book instead of a card for me little man to start his book collection. and what else, but lots and lost of farm themed books to make our JD nursery complete. Toy tractors are always a must for any little farmer kid to have. I found this cute pillow at a dinner silent auction and of course I had to have it. 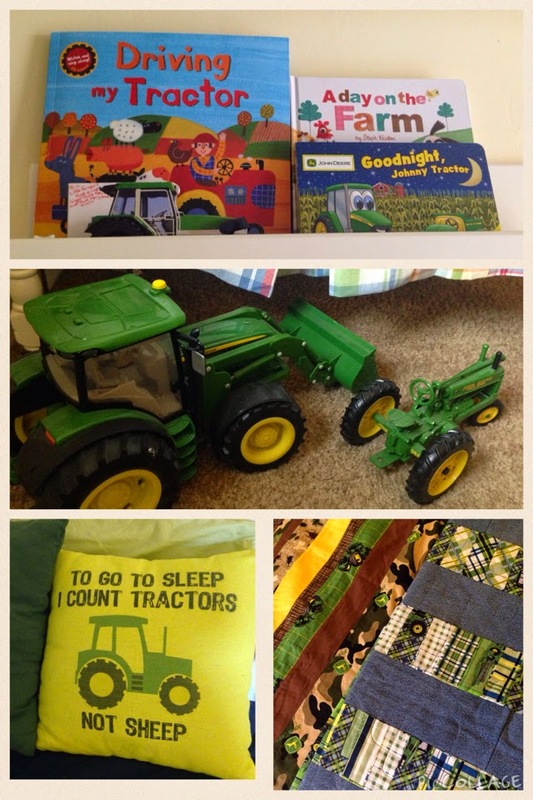 My very talented mom and friend made adorable quilts to add to the JD theme as well. My mom used my husband and mine old jeans to add to the JD fabric making this quilt very special. These tractor pictures were also another great ETSY find. They were great because there weren't just photos, or drawings, they were a little childish to me. Added some cheap frames and they were perfect! I love how they tied the whole nursery together. 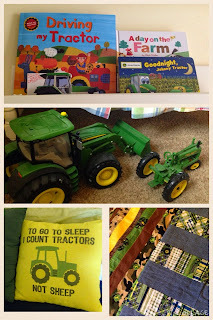 Now my little man has the cutest and most perfect John Deere Nursery!